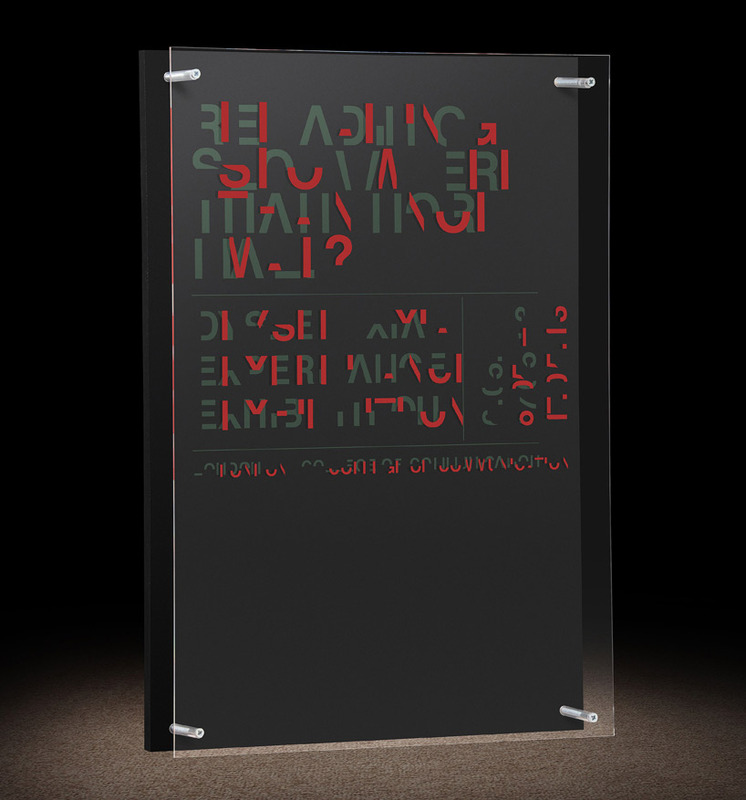 typography design comprises projects relating to the use of fonts or letterforms. sawdust's redesign for the texas monthly is sharper. livelier. friendlier. texas-ier. 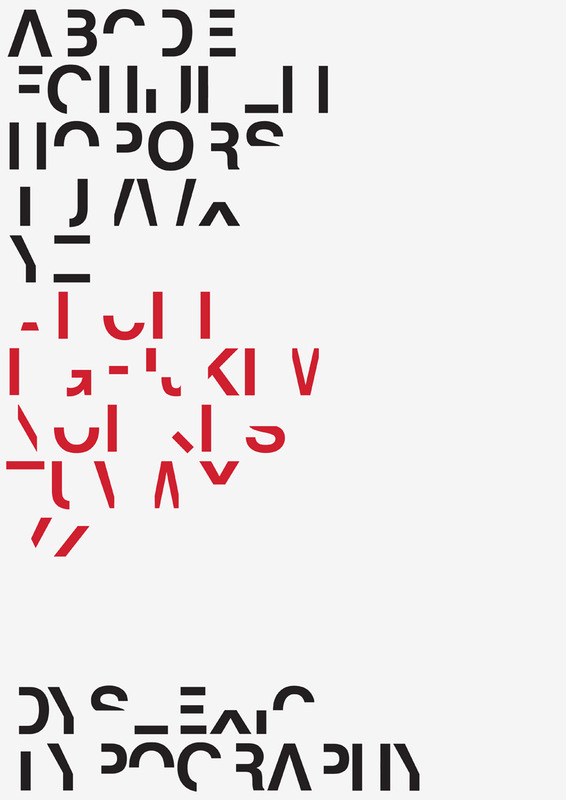 dyslexia is an everyday issue for british graphic design daniel britton. the condition — difficulty in the use and processing of linguistic and symbolic codes — affects on average one in ten in the UK. one of the most common learning disabilities, it is at this time still greatly misunderstood, and even more so miscommunicated. 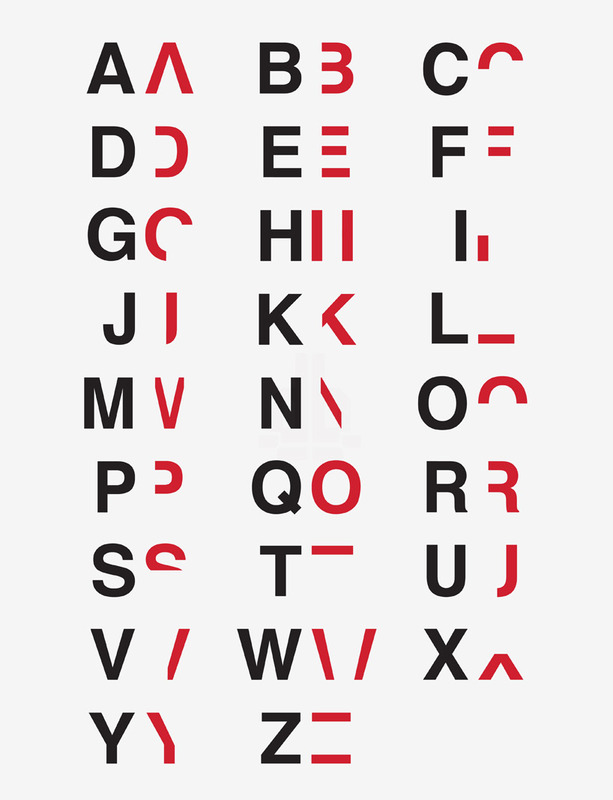 britton’s ‘dyslexia’ typeface attempts to show those without just how impairing it can be. 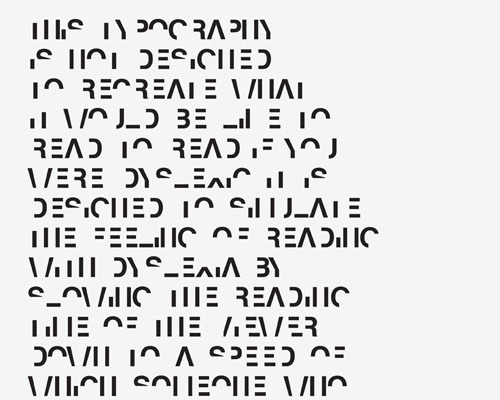 the typeface breaks down the reading time of non-dyslexics to roughly the same speed as someone who struggles with the issue. letters are split into two, with only one section provided at a time. 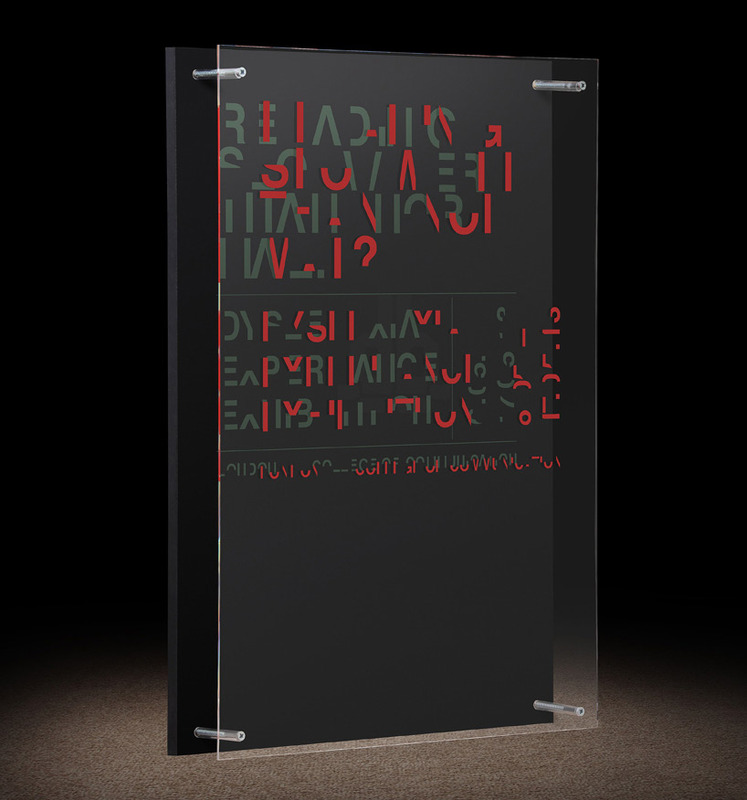 in two-dimensions, reading any text is extremely difficult. in the third dimension, britton stacks both parts directly on top of the other. from straight on, the text is perfectly legible. however, a slight move to the left or right quickly confuses the words. 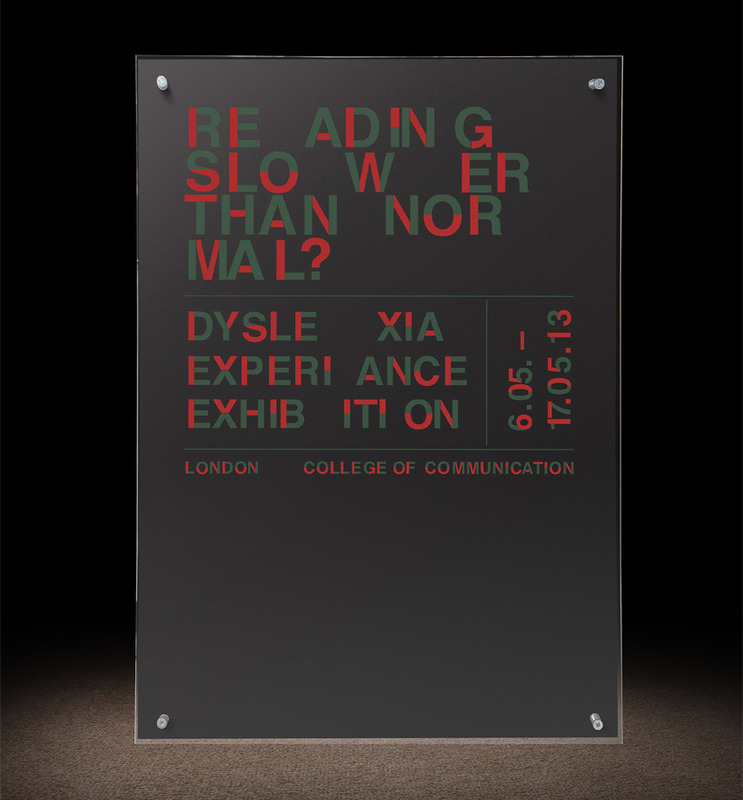 by forcing the viewer to have to physically work to read a simple poster, britton hopes to convey the aggravation, stress, effort, and embarrassment that dyslexics face on a daily basis. designboom has received this project through its ‘DIY submissions’ feature, which welcomes readers to submit their own work for publication. see more designboom readers submissions here. 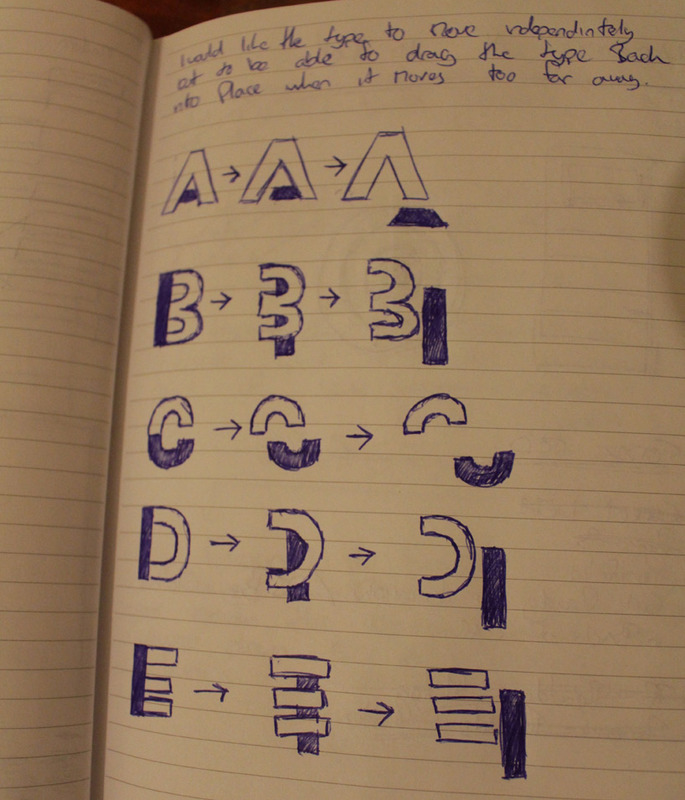 This alphabet is very interesting and helps me to understand the difficulties dyslexics face. I can read the examples very slowly or not at all. 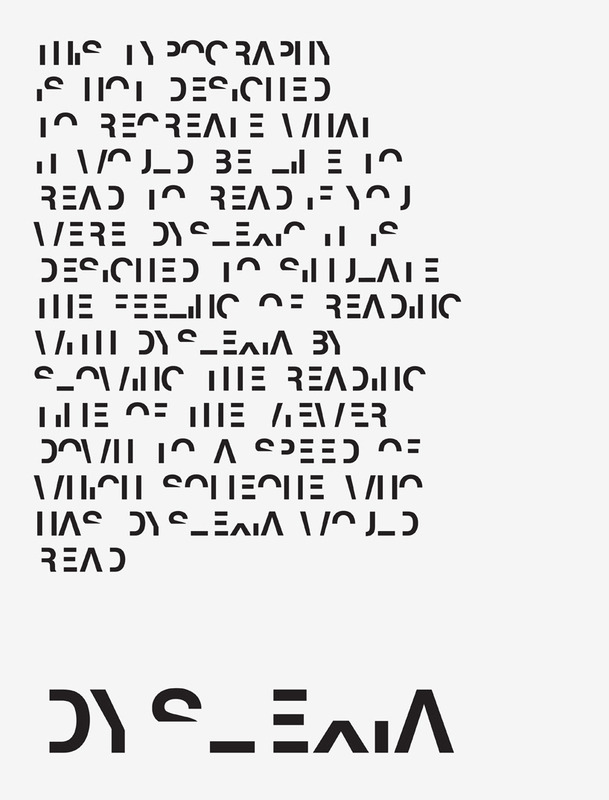 But now the real question – how do we design a typeface or writing convention to help dyslexics to read faster and more easily? Would it help if all characters had reflection symmetry such as A, H, I, M, O, T, U, V, W, X,Y? What if words were reflected, the->theeht etc? More symmetric words used, e.g. noon? Would sentence structure have to change? Are certain words (or letters) more problematic than others? Should there be an app for this? Is the problem being mitigated by OCR type readers? PS: Is it PC to say “dsylexics” or should I say “people with dsylexia”?